3.2mm wide 14k white gold mariner link chain necklace, made in 18", 20", and 24". 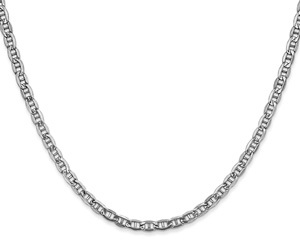 The 14k white gold mariner chain includes a secure, industry standard lobster claw clasp closure. 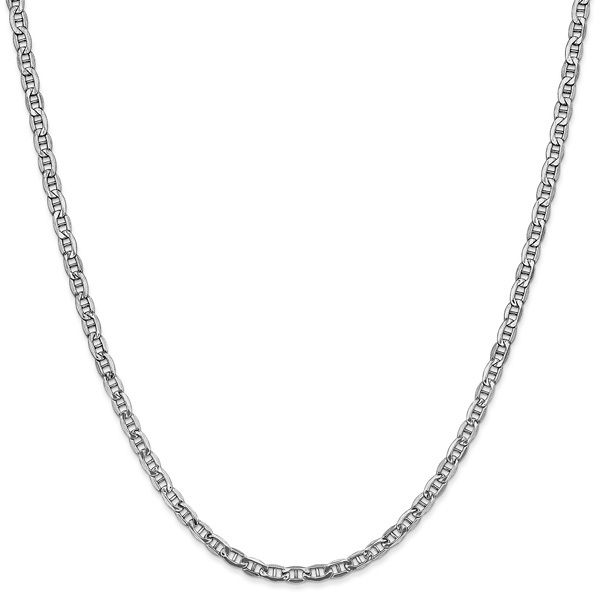 This chain is 14k solid white gold, with semi-solid hollow links to create an affordable and lighter weight chain. Also available in varying sizes and styles, shown below. We guarantee our 3.2mm 14K White Gold Mariner Chain Necklace to be high quality, authentic jewelry, as described above.